sunny, 30 Jun 2010i bought this phone from holland &now i want use it in india with indian sim so plzzzzz te... moreUse Alcatel E series Unlocker Flash Tools only! Can anyone tell me about the CDMA version of this set as a modem?Also about the music player?I'm really interested about this phone.Do anyone wanna help me? Sun, 11 Oct 2009I have 2 units of this phone in CDMA version with Wireless Modem. Very nice a CDMA Internet mo... morewhat do u do in time of recieve a call?Remove yr casing? I have need the software of this mobile for the modem. So that plze. you give this software. I have 2 units of this phone in CDMA version with Wireless Modem. Very nice a CDMA Internet modem gives speed upto 132 Kbps speed. Mp3 Playable. The worst thing is that it gets hot while using for call or internet. So I put it inside my Computers Casing with a cooling fan infront of it. I mainly use it for internet connectivity. Very good so far. Wish I never bought it. Telephone reception bad. Case - screen marks very quickly. Only good point is it was cheap. 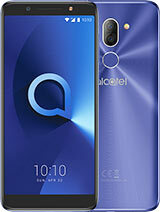 Had an Alcatel before and that was good, but Not this one! 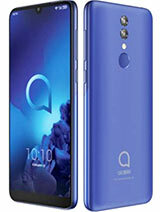 hello, i've just bought this phone, but the problem is the phone gets very hot during a long duration talk. I can feel the heat burning my ear. What is the problem? How can i solve it? i have CDMA version of e805, in $42 you can't get better phone this. Sound is awesome. I use 1x internet with it, believe me its better than a $100 modem. Only backdraw is you can't set the wallpaper rather the embedded ones. 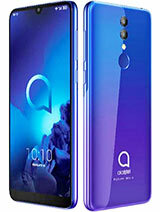 Other wise this phone looks cute and its os is not that stupid after all. The options it has, has with full features. 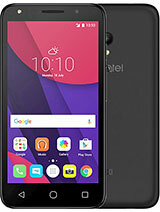 If you are finding a music phone under budget it is the one you are looking for. Sigh, if can listen to music through loudspeaker would be cool. 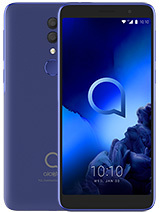 It's a great phone though for it's price! Fazil no offense but if you thought this phone was a super fast super computer with a highly advanced virtual reality music orchestra... you are wrong... you should have paid more attention to checking out the phones specifications before you bought it. The phone is a very good phone/mp3 player if you consider how cheap it is (30€). this phone is bad!. bcoz its system is to slow and old. mp3 player is not work at load-speaker, i have this phone and only 3 week i used it, i sell it. this phone is boring!!! Yes it has a loudspeaker, but you can not listen to music or phone calls out loud. When listening to music you must use the headset. BUT! The phone features a 3.5 mm jack which enables it to be hooked up to ANY headset or stereo speaker system. 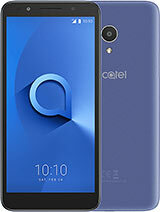 Total of 103 user reviews and opinions for alcatel OT-E805.